The progress and growth of Texan Auto Repair rests solely on the dedication to quality, commitment to customer satisfaction, and attention to detail that can only result from personal involvement by every one of us. We serve customers not only in the Sugar Land proximity, but also from West Houston, Katy, Richmond and Rosenberg areas with the motto and ethical mission statement of HONESTY. We offer a wide range of repairs and/or maintenance on power train and drive train systems of almost all cars and trucks, including gas and diesel (domestic and import). We hire and train ASE certified technicians who use up to date technology, tools and equipment. "Drove from California to Florida and I noticed my car was over heating. I had to stop in Houston to see a friend and so I searched up a local repair shop and this one had the best reviews so I gave it a try. I can’t explain how impressed I was with the staff and service. Rush was more than excellent when it comes to customer service!! He went above and beyond to meet my needs. I saved a lot of money not going to the dealership my friend had recommended. Thank you Texan Auto and Terry for taking care of my vehicle and getting me back on the road! I highly recommend!!!" "I have been bringing my vehicles here for service for about 2 years now. And I have been very pleased with everything. 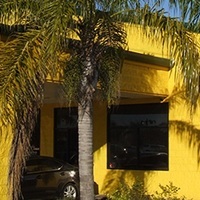 From oil changes to maintenance to repairs, they have done a great job and have been honest about everything. When they make a mistake, Terry would get involved and make sure that everything is resolved. Ryan also does a great job of contacting and getting approval for repairs from my extended warranty provider. I highly recommend them for all of your auto service needs." "Just moved to Texas. We live in the Sugarland area and had to find an auto repair place quickly to fix a leak in our car. We saw that Texan Auto Repair and Collision was nearby and tried it. Our first visit was awesome. Their work is high quality. Our second visit reconfirmed everything we thought from the first time. They are extremely knowledgeable, personable, honest and very reasonably priced. They are some of the nicest people with whom we’ve ever done business! We are happy to call them our auto repair service moving forward! We highly recommend Texan Auto Repair and Collision!" "I have never ever written a review before, so this is a well deserved rating. My parents, bless them, have been prepping my car to get it shipped out to my school which is across the country. Throughout their entire experience here, they spoke praises of all the staff, their thoroughness and diligence, and appreciation and acceptance of all customers. Direct quote from my mom: "It was a tremendous experience. Ryan went above and beyond. Everyone was incredibly nice, helpful, and caring. I found them online. Their rave reviews and extremely polite phone manners brought me in. They're even nicer in person. We added on a few things, while the car was there and they were happy to repair those items. Consistently checked to see if add-on-items were covered by warranty. Just a delight to work with!" Thanks so much for helping my parents, as well as myself knowing my car was in good hands! Y'all are awesome, you've just gained lifelong customers." "I brought my car in with a gouge above the rear wheel and an engine service alert. They met their deadlines, stayed close to their estimates, kept in communication, and did amazing work. Terry did a beautiful job on the body work; you wouldn’t know that there was ever anything there! My check engine light was on due to a pinhole on the inside of a part that couldn’t be more than 1.5” X 0.5” and is no longer sold by Ford. Ryan found it, fixed it and got my car back to me the next morning! They care about their work, and they should be proud! I will be bringing my car back here anytime it needs service in the future."